Whether you raise chickens and/or turkeys, or hunt a lot, chances are, there are times when you just have too much meat or too many eggs to use before they go bad. While it may feel good to have that freezer stocked full, imagine the feeling you’ll get when your freezer is full of more than just packages of frozen meat. Any type of egg comes in its own little hypo-allergenic package. 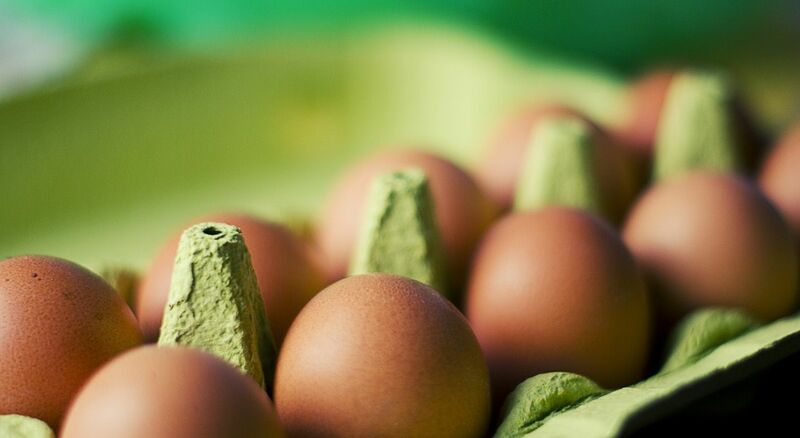 The egg shell is a wonderful natural invention of mother nature, and keeps eggs fresh for weeks. There is a coating on the outside of an egg that will help keep it fresh if not washed. But you don’t have to keep dirty eggs for them to last a long time. Wash them off and toss them (gently!) into the fridge, and they’re good for more than a month. You can also leave eggs unrefrigerated, but once they’ve been refrigerated, you have to keep them cool. You may not want to keep them unrefrigerated if you have a rooster around, though. If you have warm temps, a chick can start to develop even without being sat on by one of the hens. Freezing eggs is a great way to store them long-term. While eggs are naturally resistant to rot, taking a few minutes to freeze them will allow you to enjoy the eggs for up to a year. Just crack them in a bowl and whisk them, then pour into an ice cube tray. Each egg cube is just about the equivalent of one egg. Once they’re frozen, pop them into a gallon freezer bag and use them at your leisure. You can also cook your scrambled eggs and then freeze them, or add them to a Mason jar meal to be eaten later. Pre-cook some sausage, potatoes, eggs, and cheese, layer in a Mason jar and put it in the freezer. Eggs can also be dehydrated, though you can expect mixed results. Using a dehydrator, whip the eggs and put them on a solid dehydrator plate. Let it go until the eggs are dry to the touch. These dehydrated eggs are great for using in recipes, but not so much for just rehydrating and eating as scrambled eggs. Another way to save eggs long-term is to pickle them. I’ve personally never gotten into eating pickled eggs, but this can be a great source of protein that will last you a long time. If you have a big chest freezer, then you know the benefits of having venison or beef or pork or chicken just waiting to be defrosted and put onto your plate at dinner. Having all that meat stored away can provide a real sense of security, but don’t limit yourself to bags of frozen meat. Instead of just taking your cuts of meat and sticking them in the freezer, try a couple different things first. Soups and stews freeze really well, so you can make a big pot of beef stew with potatoes and carrots and beef and have it ready to eat. All you have to do is heat it up. Make some chicken soup and freeze in freezer bags or glass containers. Don’t forget that the soups and stews will expand some when they freeze, so leave some extra room in the container. Most types of meat can also be dehydrated or jerked. The higher the fat content on the meat, the better it will taste when done. Using low heat in your oven or a dehydrator slowly eliminates water content from the meat, meaning that the meat will go bad a lot less quickly. Check out my favorite food dehydrator at Amazon. You can smoke the meat as well, and this is a better way to handle lower-fat meats like chicken or turkey. Try using different types of wood to do the smoking to change up the flavor. The last thing you want is to make wonderful beef jerky or smoked turkey, and then get sick of it because you only have one flavor. Believe it or not, you can freeze milk. If that doesn’t sound like the best use of your dairy, you’re right. But if you do have an excess of milk, putting it in jars or jugs and leaving a little extra room for expansion will allow you to have it in the freezer for quite a while. If you decide to make cream or any other liquids, they can be frozen as well. But this is far from your only option. You can have an almost unlimited number of other dairy products, such as cheese, butter, and cream. Now think about all the different kinds of cheeses that could be made. Some are simpler than others, and some will keep longer. But cheese is pretty easy to store whether you want to freeze it or age it for a long time. And if you have some heavy cream, butter is an easy product to provide for yourself. Take the heavy cream and beat it vigorously. You don’t need a churn or any fancy equipment. Toss a couple of clean marbles into a tightly sealed plastic storage container with heavy cream and shake until it’s the consistency of butter. It’s that easy. Keep it in the fridge or freezer. While there may not be a ton of methods for preserving eggs and meat long-term, the options available within those methods are almost unlimited. Just be sure to try different recipes to make your preserved meat, eggs, and dairy more appetizing. All these methods assume one has power. After Isabel we did not have power for 27 days. Grocery stores opened in 1-2 days. Thank God! Had water except for a few hours. What about NO power?